What exactly are tortoises? Tortoises are reptiles in the order Testudines that live on the land, in contrast to turtles which live in the water for the most part. The females don’t lay eggs until they are at least 15 years old. They eat desert plants such as cactus fruit and wildflowers. Important note: You should never pick up a wild tortoise. It turns out that one way a tortoise survives in such a dry environment is by holding urine in its bladder and recycling the water from it. If someone picks up or otherwise scares a desert tortoise, part of its defense is to urinate. Studies have shown that unless the tortoise can quickly replenish the supply of water that it lost by urinating, it is likely to dehydrate and die. Just shows that simple human curiosity can be fatal to other creatures and we need to be respectful of wild animals. Examine the photographs closely and draw a scene with a desert tortoise. These African spurred tortoises are from the southern Saharan Desert. Activity 2. 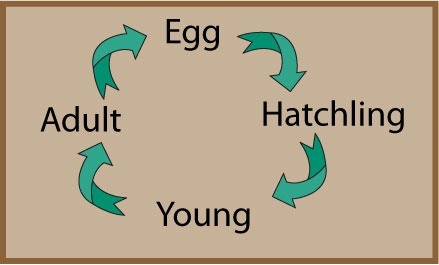 Investigate the life cycle of a tortoise. 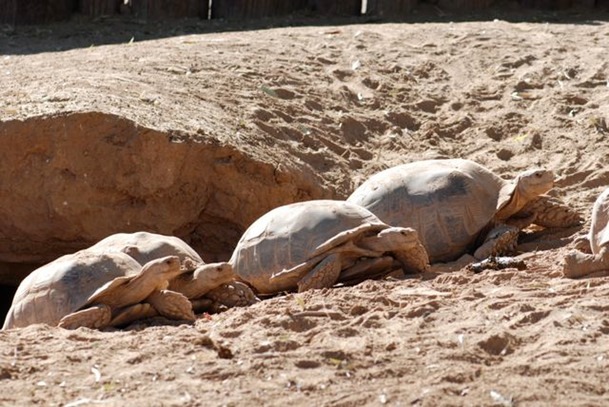 Tortoises, like other reptiles, hatch from eggs. 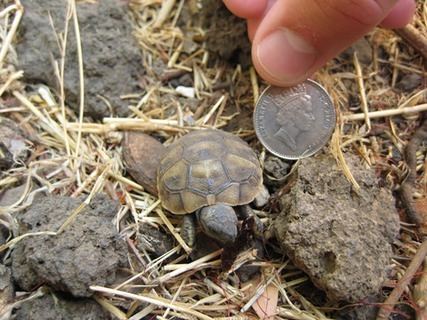 "Tortoise-Hatchling". Licensed under CC BY-SA 3.0 via Wikimedia Commons. 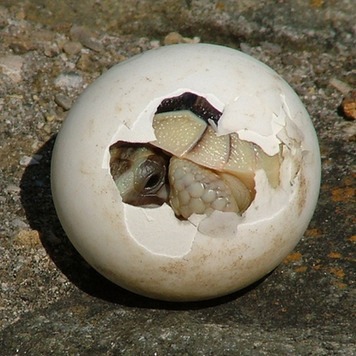 The babies hatch out when conditions are right. "Baby tortoise" by Edgovan22 - Own work. Licensed under CC BY-SA 3.0 via Wikimedia Commons. 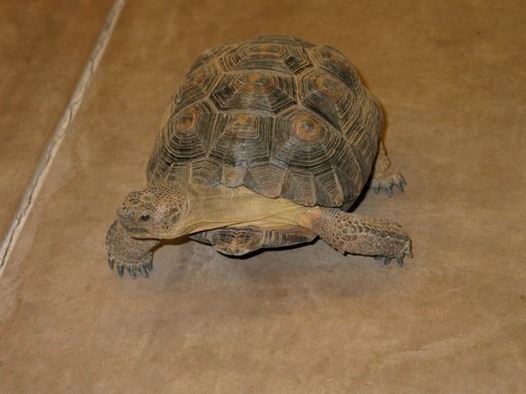 Tortoise group has a desert tortoise life cycle information sheet.